Not my usual kind of post but I saw this idea on the internet and loved it so I thought I would give it a go. PLEASE NOTE: These jars look great but they are not something to do with the kids due to noxious chemicals and broken glass. A pair of disposable or washing up gloves. I used glowsticks and glitter from the pound shop. It was two glowsticks to a pack and four jars of glitter to a pack. It’s written ALL OVER the glowsticks that they contain chemicals that can irritate the skin. The think I didn’t know that the glowy stuff inside the sticks is contained in a glass vial so again, be careful. 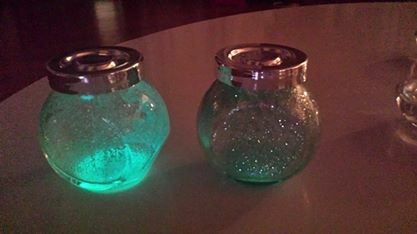 The small spice jars are ones from around the house and one glow stick would have been more than enough for three. 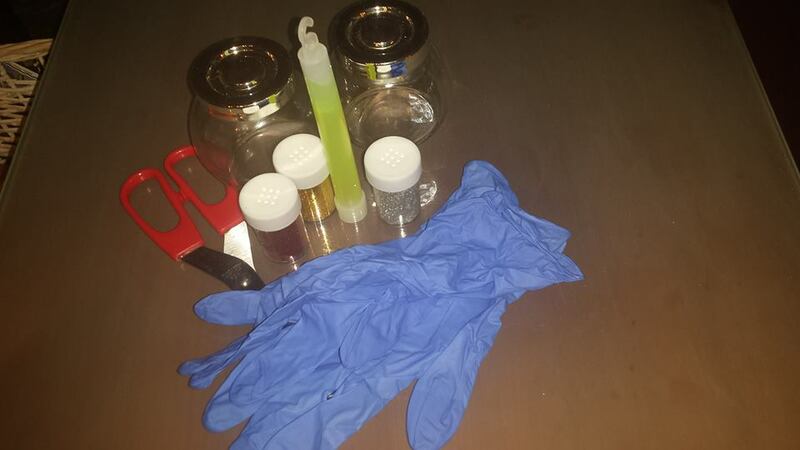 It’s simple enough – snip open the glow stick, carefully break the vial over a container and divide into others if necessary. 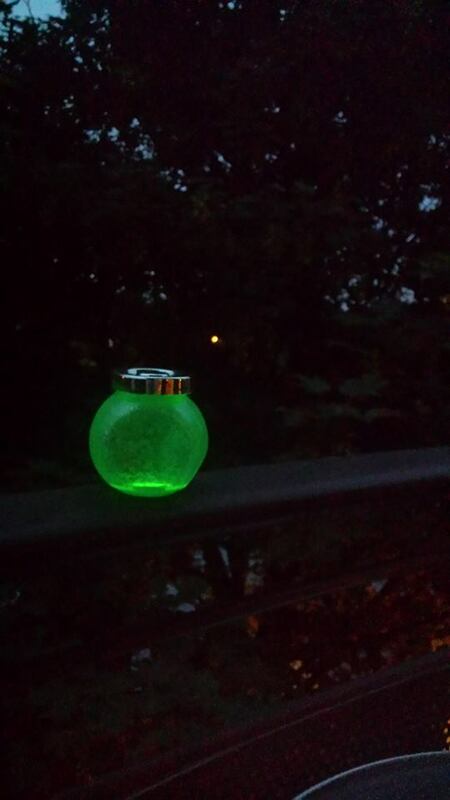 It seems that the longer the glowy goo is exposed to the air the less time it will glow for so have the glitter in your jars first. One of my pots appeared to have a leak so ended up looking like this. Once you have mixed the jars put the lids on TIGHTLY and give them a shake. That will coat the glitter with goo and the inside of the jars with glitter. The goo stinks and can harm textiles so giving the jars a wipe with kitchen roll once they’ve been shut is a good idea. Once again apparently the goo can irritate your skin so exercise caution. 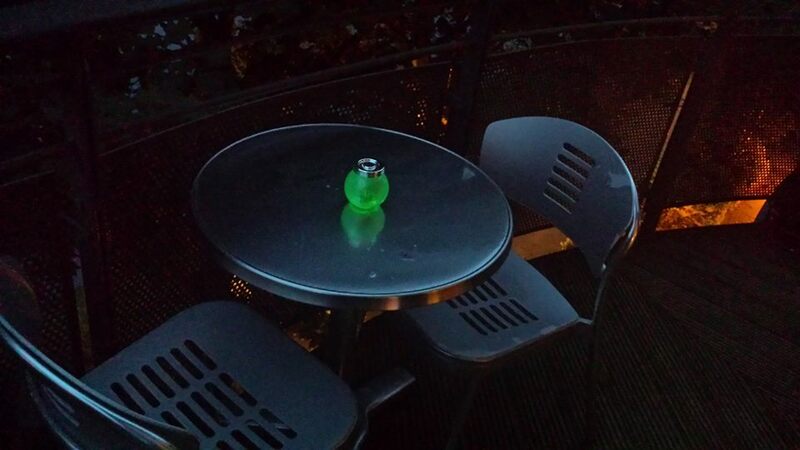 In the end though you’ll have some lovely fairy lights to light up a party or garden. Unfortunately they’re not the kind of thing you can do in advance though. I would also recommend using the small, bracelet type glowsticks available on Amazon instead of the big pendant ones I used. 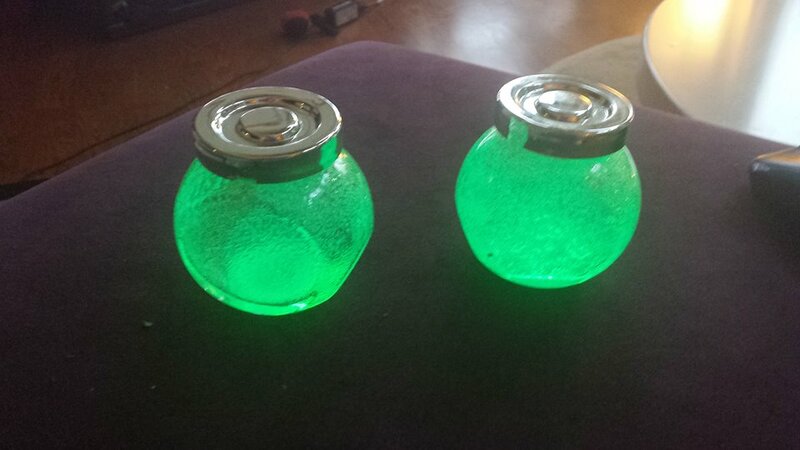 One of them would be the perfect size for a jam jar and the smaller glass vials will be much easier to break. These are very easy to make and took about a minute but again, exercise caution in dealing with chemicals and broken glass. A really fun project though.